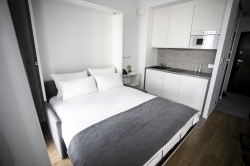 Varsovia Apartments Kasprzaka - 311 fully equipped, air-conditioned apartments, which are an offer for guests visiting Warsaw for both business and tourist purposes. In addition to comfortable apartments, our facility has a full-size Restaurant and lobby with 24-hour service. Our guests can also take advantage of such facilities as a self-service laundry room, parking in the underground garage or wi-fi internet. 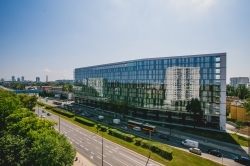 The high standard of finishing the facility and apartments is one of the advantages of the newly-created facility, which today is a new quality on the hotel map of Warsaw.